Jacob Stallings got into the ferry business in 1848 at the old Orr Ford on Grand River (SE 1/4, Sec. 6, T58N-R26W). This site was a crossroads for travelers from Richmond, Bethany, Trenton, Gallatin and Greasy as well as connections from the Utica road over the Grand River to the Chillicothe road. Daviess County’s first bridge over the Grand River was placed at this location in late 1851, but it soon washed away. In 1854-55 Judge Thornton S. Talbot and wife, Julia, purchased land 200 yards south of the crossing on the west side of the old river bed. The Thorntons and John T. Dougherty established a grinding and saw mill at the place about 1855. After the bridge failure, Jacob S. Rogers Jr., operated the Stallings Ford Ferry (1852-59). Jacob (Nath) Snyder lived and worked with his family at the mill. Snyder’s house was provided by the mill owners. Within a mile (west) the Packwood family resided. In the spring of 1856 trouble was starting between Larkin Packwood and the mill owners. About mid-morning on March 9, 1856, Larkin went to the mill to Jacob Snyder’s house to return borrowed coffee to Mrs. Snyder. 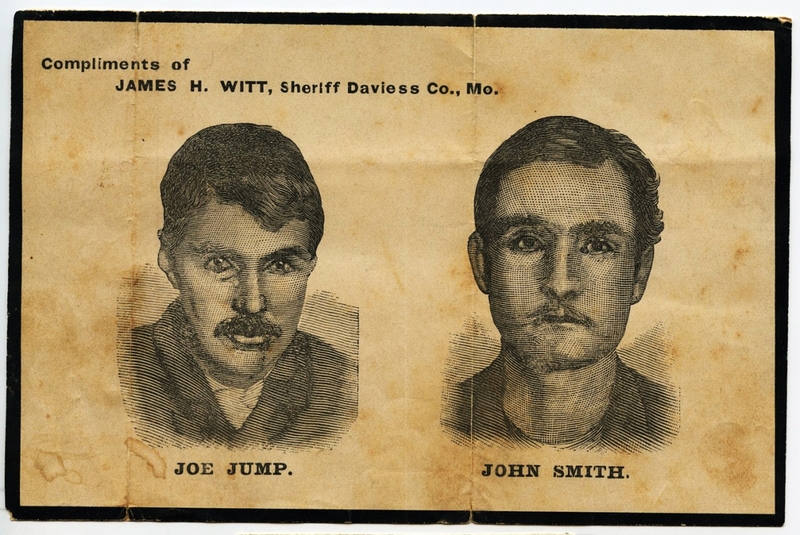 At the mill (within 100 yards) were the Snyders, Judge Talbot (with a double-barrel shotgun), John Dougherty (with a heavy 3-foot stick), Jim Talbot (with some kind of small bore gun), Richard Hale and Andrew Arnold. Mr. Snyder saw trouble coming, so he called his wife out of the cabin, leaving Larkin there by himself. Mr. Dougherty took it upon himself to run Larkin off and give him a beating. Dougherty went into the house with his stick and soon came out behind Packwood on the run. Dougherty was right behind Larkin and hitting him with the stick. Dougherty pursued Packwood north to the edge of the woods, about 50 yards, where Larkin turned around and struck Dougherty once with a knife. Packwood kept on running and did not offer to repeat the stroke of his knife. As he was stabbed, Dougherty hollered “Oh, Lord!” and threw the club after Packwood. Two or more guns were fired from the mill at Packwood running away. Jim Talbot, on horseback, pursued Larkin up by the lake (Packwood Lake) and shot at Larkin who was dodging behind the forest trees. Andrew Arnold went for the doctor to help Dougherty but Dougherty died of his wound in about an hour. Dr. Dewey treated Packwood that evening and stated that Larkin was bleeding freely and spitting up blood from a gunshot wound in his side. Larkin had been shot through one lung but recovered. Dr. Dewey reported that Larkin had 11 severe bruises on his back and shoulders. The Packwood family living on Packwood Bluff prepared for “mob justice.” A spy, sent by the family, returend to the mob indicating that if Larkin was taken from the bluff, someone other than a Packwood was going to get hurt. The sheriff was Meriwether T. Green. 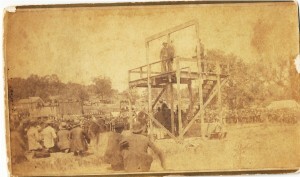 He held Larkin at the old pit jail in Gallatin. 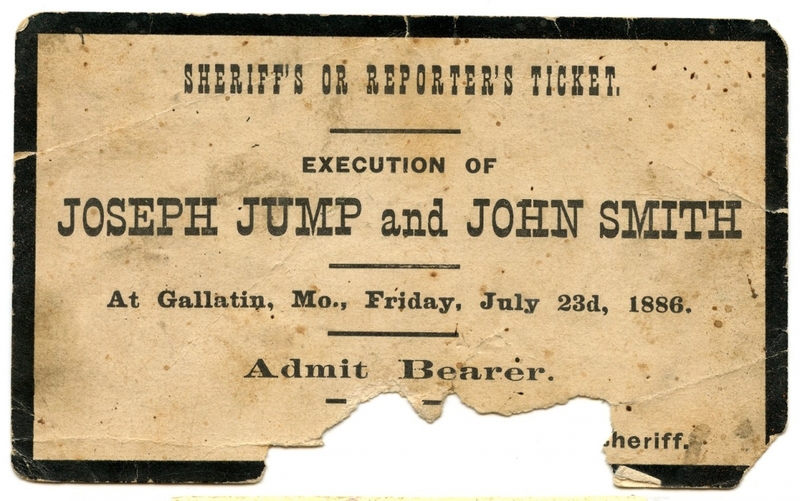 Larkin was tried in April, 1857, in Caldwell County (change of venue) and found guilty of the murder of John Dougherty in the first degree. 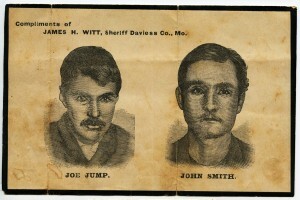 The ruling was overturned in favor of Packwood in January, 1858, by the Supreme Court at Jefferson City. The higher court ruled that Larkin had neither used any language nor did any act or in any way whatever — actively or passively — so conducted himself as to provoke a difficulty and had acted in self-defense in using the knife. Packwood was discharged and moved to Ray County to reside there. The Talbots operated the mill for another 10 years and sold the place to Richard Hale. Packwood Lake and Packwood Bluff are near the old ferry and mill location in the northwest corner of Harrison Township. Remains of the Packwood residence may still be found on the bluff overlooking Grand River. In 1856 a new bridge was built northeast of Gallatin. This reduced the activity past the old Orr Ford (Stallings Ford) location. Packwood Lake is nearly gone now, but no evidence of the mill or the crossing of the old river bed can be found.